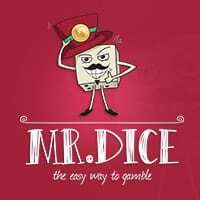 MrDice.io is an online dice betting site that features a user-friendly dice game exclusively for Bitcoin. It went live in 2016 and became one of the newest names to join the ranks of online dice games for cryptocurrencies. Born out of South Africa, MrDice.io aims to deliver a hassle-free way of playing online, from wherever you may be. This Bitcoin dice site definitely stays true to its tagline ‘the easy way to gamble’ since on board its website is a player-friendly dice game that may look familiar but can prove to be so much more than the typical Bitcoin dice game. MrDice.io doesn’t bring anything new to the table, but it’s in the manner it has packaged the game that makes MrDice one of the dice sites worth your time. When it comes to aesthetics, there’s not much to complain about. The colors used complement each other and the minimalist design is perfect for the nature of the dice game. Even the layout of the website is friendly. For example, other Bitcoin dice sites fill the page with everything they could think of. MrDice does this too, but it makes sure that these elements won’t interfere with your betting. Take the chat box for example. MrDice had the initiative to hide the conversation—which can get heavy to be honest—and it’s refreshing to have the option to spare yourself of the constantly updated chat box. Moving on to the actual dice game, it’s the typical online dice, but the operators opted to ditch the High-Low variant in exchange for the less complicated gameplay. You only need to adjust the slider to choose your preferred payout multiplier. 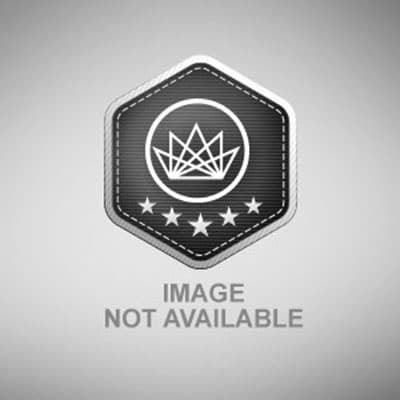 This game is also provably fair, which is a plus, and it registers a 98.1% player return. Everyone is required to register an email address to create an account and be able to play the game. Other Bitcoin dice sites already have their system set to automatically create an account for new players, but MrDice opted to make having player accounts mandatory. Not that this is a deal breaker or what, it only prolongs the gameplay. Of course, related to this is the system of depositing bitcoins to your account and withdrawing funds from it. Again, most of the Bitcoin dice sites choose to enable instant betting, and some players find this setup safer since their funds don’t have to go through a third party. This doesn’t mean that MrDice is not a safe place. In fact, these are just minute details that some players can be quite picky about. Depositing any amount works like a breeze, but you will need to wait a few hours if you cashed out over 0.1 BTC. Otherwise, the funds are transferred from your account to your wallet in no time. Just take note of the 0.0001 BTC transaction fee and the 0.001 minimum withdrawal amount. The team behind MrDice is generous enough to add a faucet, and it gives out 1,000 satoshis every 30 minutes. This is to get you started in rolling the dice. If you’re planning to keep this all to yourself, then you need to bet 20 times that amount. Is this worth your time? Definitely. Other than the Bitcoin dice game, MrDice.io also has a referral program that lets you get your reward once your referral rolled the dice at least 50 times. You're not logged in. Please login or join to add MrDice.io review.